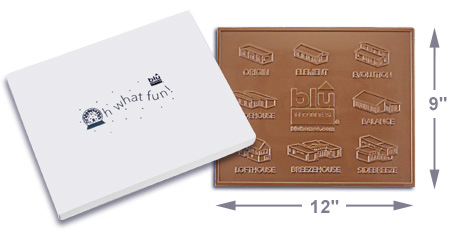 Your company name and logo molded into a bar of any size, from a regular business card size to a bar as large as you desire. 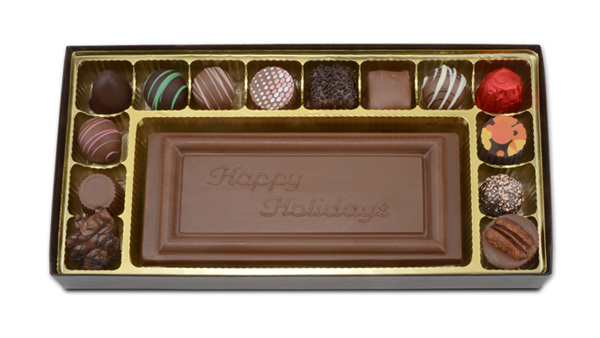 Custom Molded Bars can be blended with the garnish of you choice including peanuts, raisins, crisp rice, or almost anything! 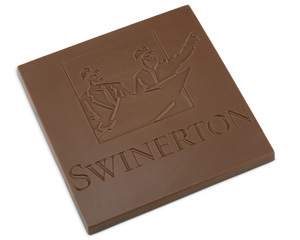 Your own personalized bars can be made in milk, white and dark chocolate. Click here to request a Custom Quote. Or call (716) 882-5055 M-F, 9a-5p EST. 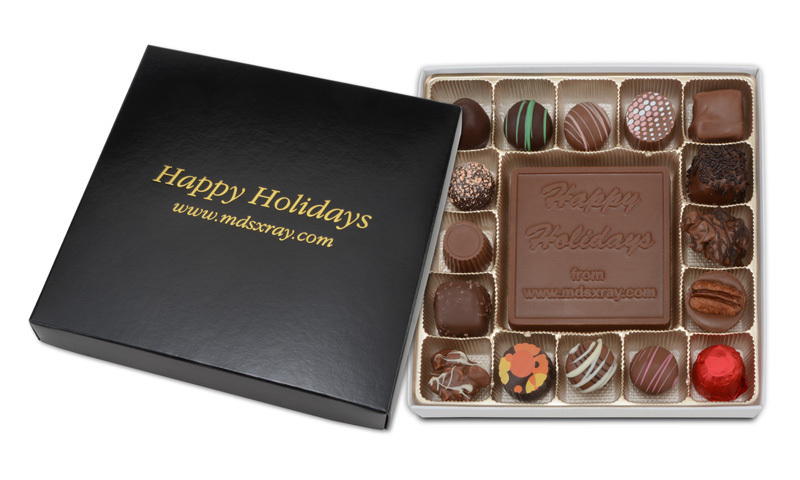 Custom Molded Bars have so many uses including holiday favors, seminar promotions, trade show giveaways, employee gifts, fund raising and more! Chocolate bars can be surrounded by our quality chocolates and packaged in attractive gift box. See our Small & Large Custom Chocolate Bar Gift Sets below. 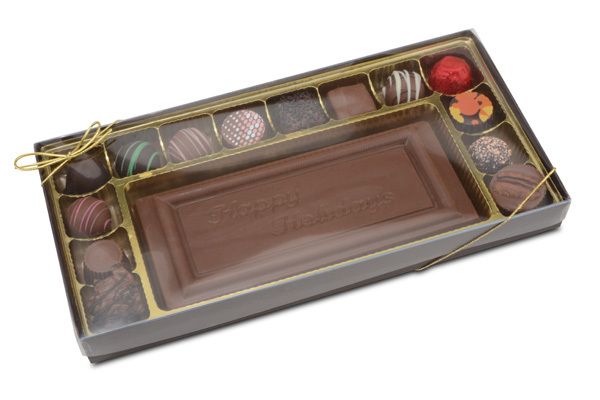 We Make Extra Large Chocolate Bars Too! 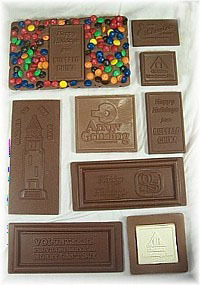 We can also make extra large bars for your special promotions. 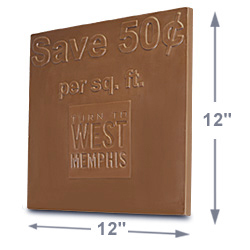 Some recent promotional chocolate bars have been as large as 12" x 12" weighing over 2 lbs. each. 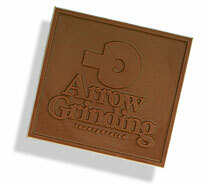 Bars can be creatively packaged to enhance your promotional gift. Click for more larger image and more info. Fresh made for your order! Call (716) 882-5055 To order or for pricing, or submit a contact/request form.